Suitable for: beginners to intermediate kayakers. Come and join us at Carry Farm on Argyll’s Secret Coast for a sea kayaking weekend. We’ll be a small group of female paddlers aiming to enjoy some coaching and paddling in the famous Kyles of Bute and surrounding waters. The two female coaches will love to share their coaching skills and knowledge to build your confidence on the water incorporating journeys on the sea to explore the fantastic local area. The weekend is based at Carry Farm, near Tighnabruaich, Argyll, on the shores of the Kyles of Bute, and under two hours from Glasgow. The bunkhouse is just £20 per night, and offers a simple, quality accommodation with large kitchen and social area. The venue also offers camping, or luxury lodge accommodation. Visit Carry Farm www.carryfarm.co.uk to see for yourself. The cost for the three days is £250 which covers instruction and any equipment hire. Travel to the venue, accommodation and food is not included. To confirm your place a 25% deposit is required. The additional cost for the bunkhouse is £20 pppn is payable directly to Carry Farm on arrival. Camping costs are available on the Carry Farm website. 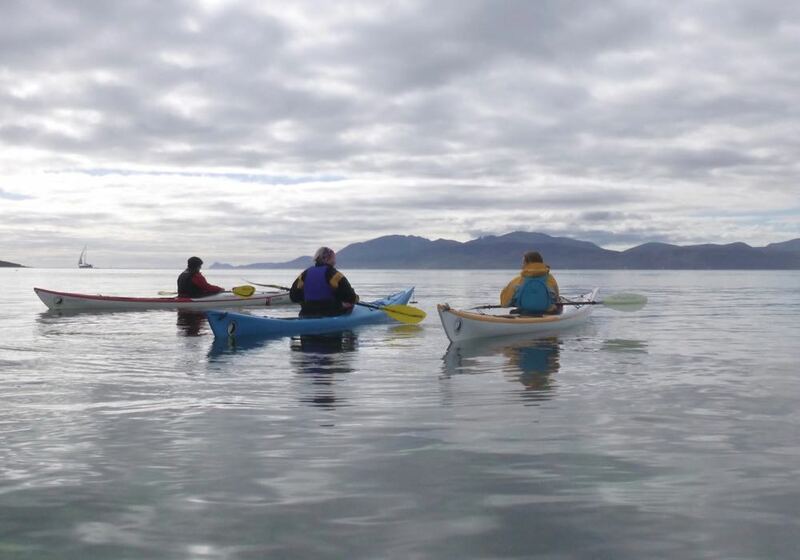 Ten women, two coaches, beautiful sea kayaking location – what could possibly go wrong?